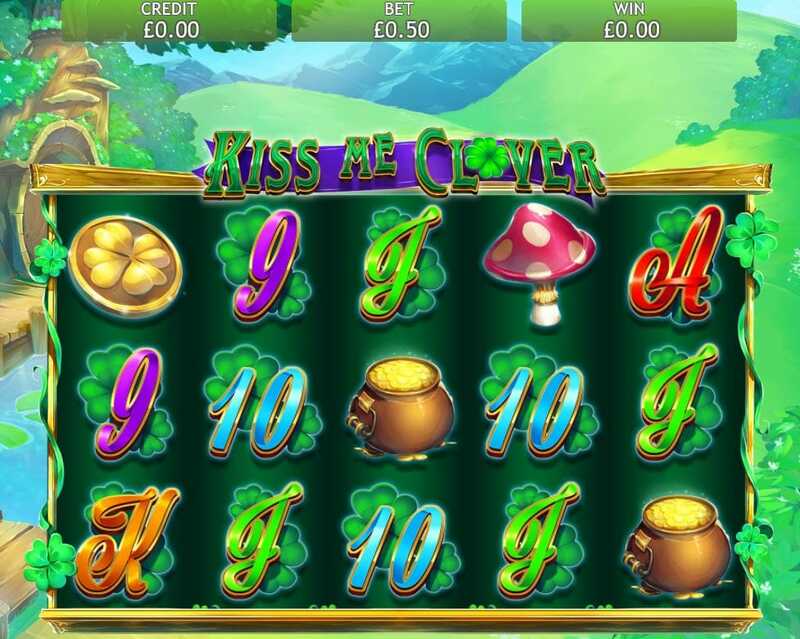 Irish-themed new online slots game has always been a firm favourite of casino gamers. After all, they should come with plenty of that Irish luck, right? Well, you can test that theory when you play Kiss Me Clover. This game from the developers at Eyecon is just the latest in the latest trend for games from the Emerald Isle. Will all of those lucky leprechauns smile down at you when you spin the reels? Have a look at other jackpot slot game online on SlotsBaby! Eyecon has been in the casino slot business for the past couple of decades, and you can see all of their expertise in each game they create. And Kiss Me Clover is just one game that shows what these developers can do. It’s packed full of interesting details and plenty of colour to help it feel fresh and ultra-modern. This game is just one reason why the company are considered one of the industry leaders! Get the best out of our casino promotions before you play the game! Pour yourself a pint of Guinness and get ready to start spinning these Irish reels. You’ll be transported to a beautiful green meadow surrounded by trees and lots of four-leaf clovers. In front of this idyllic scene sits the green game board. If you haven’t guessed by now, this game has certainly been inspired by Ireland and its culture! You’ll see that the game board is made up of five reels with a total of twenty-five pay lines. The symbols on the reel are mainly items related to Ireland – you’ll see four-leaf clovers, pots of gold, and also some toadstools. These are the higher-value symbols while the letters of the alphabet are the lower-value symbols. If you want the game to ever go a bit quicker, or you’d rather not go to all the bother of hitting “spin” so much, you can just activate the auto-play feature. 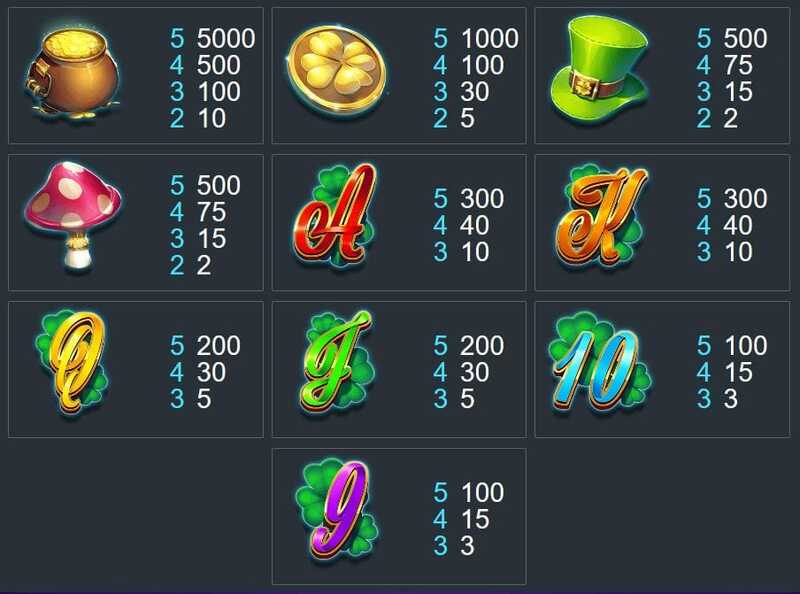 It’s also a good idea to keep an eye out for the following symbols as they can increase some of your winnings. SCATTER SYMBOL – The Lucky Clover that appears on the board is one of the most important symbols in the whole game. If you land three of them on the reels, then you activate the Lucky Wheel. You get one spin of the wheel for every clover on the board. You could win multipliers that could increase your stake significantly. FREE SPINS – The Leprechaun is also a Scatter symbol in the game and she will grant you some free spins. You just need to ensure that there are three of her on the board. Three, four and five of her will win fifteen, twenty, and twenty-five free spins respectively. Not only that, though but your pay outs will be doubled during each free spin.